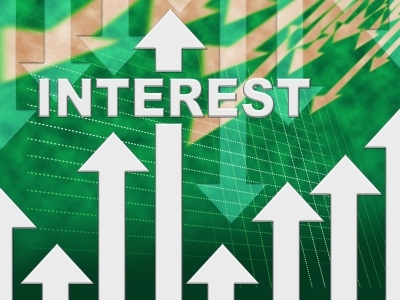 Interest rates have been at historic lows for years. This has afforded thousands of Americans to the ability to secure home loans for their dream house. It’s also worked in favor for those who have made the decision to tap in their home equity using a reverse mortgage. But interest rates affect a conventional loan differently than a reverse mortgage. HECM reverse mortgage are insured by the Federal Housing Administration (FHA), and are available to homeowners 62 and over. These tax-free loans convert a portion of home equity into cash without incurring a loan payment. Borrowers can access the funds via monthly installments, line of credit, a lump sum, and even to purchase a home. The Department of Housing and Urban Development (HUD), which regulates the reverse mortgage industry, sets a “floor” rate of about 5%. As interest rates rise and fall above this floor rate, borrowers will receive less or more in proceeds. In fact, even a small rise of 1% above the floor rate can decrease available funds by as much as 20%. Fortunately, once a homeowner has tapped into a reverse mortgage they lock in the interest rate and proceeds will never decrease, no matter what the market does, and the funds available will increase over time when using the line of credit option. In addition, even if the home decreases in value below the amount of their loan proceeds, they will never be responsible for more than the home is worth. Bottom line: with interest rates on the rise, now is the time to act if you’re considering a reverse mortgage.